The weather is getting cooler at night and the leaves are starting to fall. That can only mean one thing, Autumn is right around the corner! Autumn means lots of things for parents with young children. It means it's time to enjoy fun outdoor Fall activities, jump in leave piles, plan the perfect Halloween costume and watch football together as a family. Doing a few kids Autumn crafts with your child is a great way to celebrate the season change with them. The following 14 craft ideas are easy enough for a toddler to do, but gorgeous enough for an elementary aged child. Click on the title of each craft to view step-by-step instructions and images for that particular craft. Happy crafting! 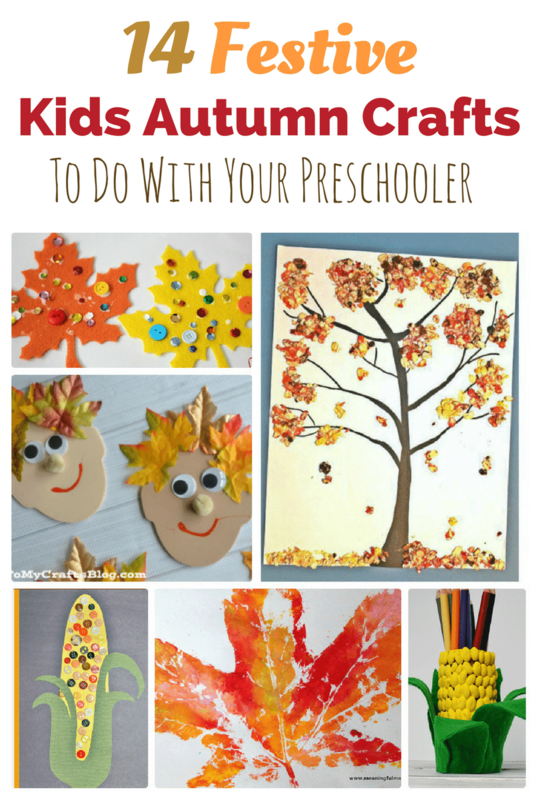 If you do any of these kids autumn crafts with your little one, please let me know. I'd love to know which one was your very favorite! 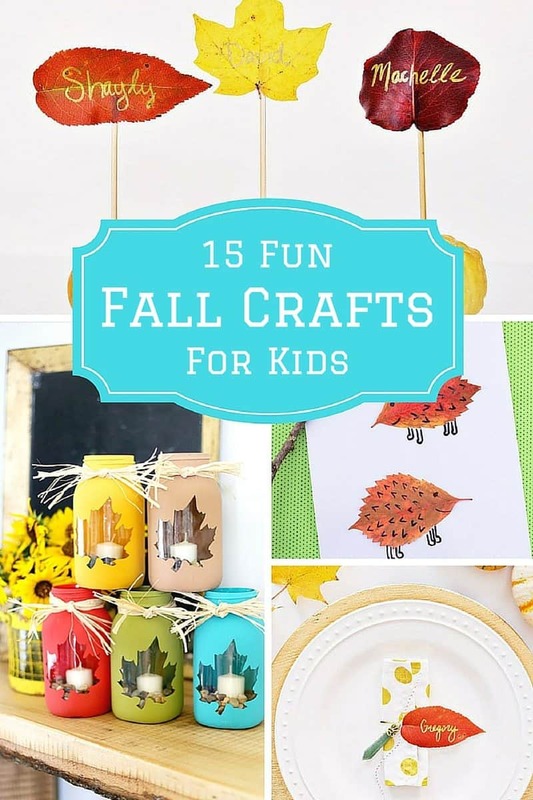 If you are looking for additional craft ideas, more geared toward older children, be sure to check out these 15 Fall Crafts for Kids. 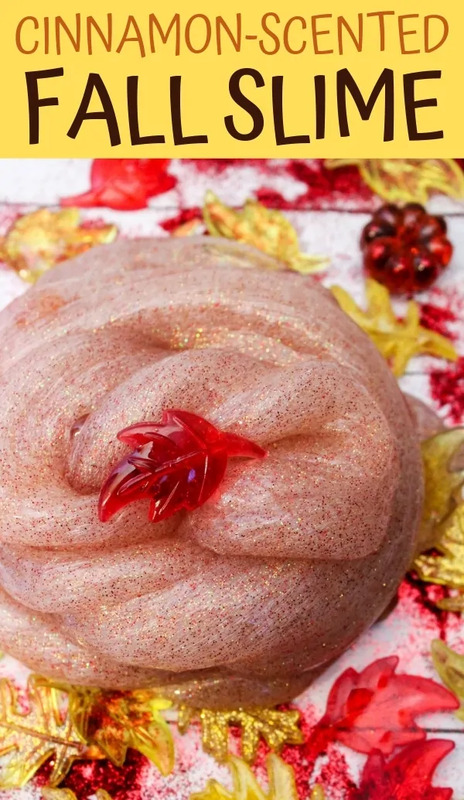 Plus, don't miss our terrific cinnamon-scented Fall slime – it literally smells like Fall! These are really neat ideas to do with small children. So many pretty leaves now to make things with. the Corn on the Cob Pencil Holder is going to happen! I most show my nieces this so she can have things to do with her son when it’s raining out side. These are great fall crafts. I always enjoy using the leaves , but now I have new ideas for corn too. Omgosh these are all so super fun!! I love the leaf prints!! And those sparkly fall leaves are too fabulous! !